Mahmoud Abbas, the Chairman of the Palestinian Authority (PA), said Sunday that he refuses to accept the funds from frozen tax revenues handed over by Israel because they amount to only a portion of the total owed. Israel began withholding tax and customs revenues owed to the Palestinians in December in retaliation for the Palestinians joining the International Criminal Court (ICC). The accession to the ICC was finalized on April 1, and Israel agreed last week to resume the money transfers, which average about $130 million a month. Israel paid $400 million but withheld about a third of the total sum saying the Palestinians owed it money for electricity and other utilities. 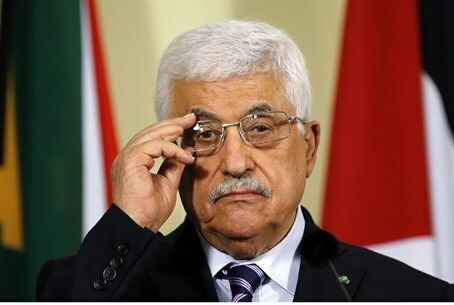 “They said they were going to send the money and in the end they did, but a third of it was deducted – why?” Abbas said during a speech Sunday in Ramallah. Abbas threatened to use their new membership and start legal proceedings against the Israelis. “We are returning the money. Either they give it to us in full or we go to arbitration or to the court. We will not accept anything else,” he said. Under the terms of the Oslo Accords between Israel and the PA, Israel levies customs duties on goods heading for PA markets that transit through Israeli ports, and then relays those funds to the PA.